At a time when teenagers are driving national discussions, Toms River students are raising awareness about the sensitive and crucial issue of sexual assault. And they’re doing so through art. High School North seniors Luke Sulsenti and Zach Holzman founded The Good Kids Project with the help of their Thespian Troupe director Carolyn Little. The project’s message of breaking the silence was on full display at the New Jersey Thespian Festival earlier this year, during which Sulsenti directed a production of the play Good Kids, by Noami Iizuka. The story, which is told from multiple perspectives, explores the sexual assault of a girl who drank too much at a high school party and went home with players from the school football team. Subsequent events play out on social media, where opinions and rumors forge permanent scars. The play was so deeply moving that even chaperones for the attending students admitted to leaving the theater in tears. Sulsenti, Holzman, and their HSN theater colleagues are now seeking to continue this powerful message for a wider audience in Ocean County and throughout the state. But they need some help. The troupe has performances of Good Kids booked at Union City Performing Arts Center (7 p.m. 3/30; 2, 4, and 7 p.m. 3/31). 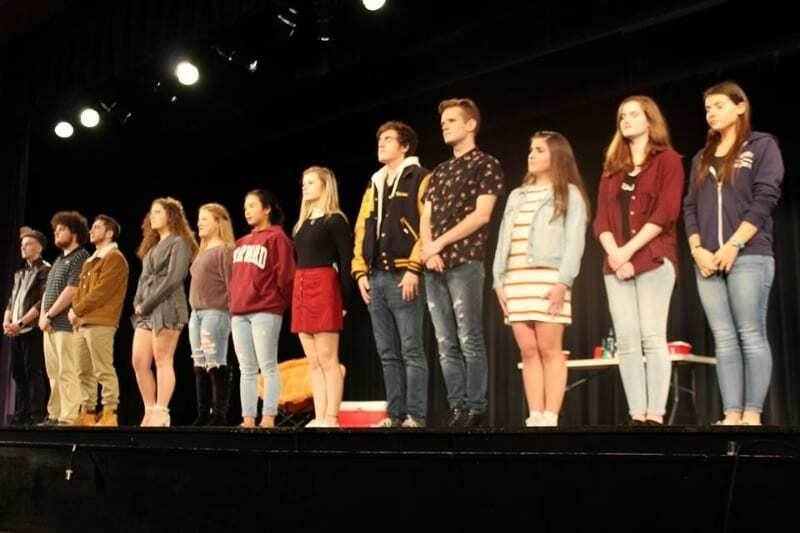 Following that, students will perform the show on their home turf– the High School North theater 7 p.m. April 12, in honor of Sexual Assault Awareness Month. In order for the company to spread awareness for sexual assault by performing Good Kids throughout the state, they need assistance funding costs for maintaining the rights of the show; transportation to and from Union City for students and the set; new costumes; props; and set pieces. To meet a $1,000 goal, students have established a GoFundMe page. In addition to supporting their goal of spreading awareness about sexual assault through performance art, the troupe will be donating a portion of show proceeds to the Saint Francis Community Center in Long Beach Township, NJ, which provides programs for victims of sexual abuse and assault. All who are interested in supporting the troupe’s mission are encouraged to visit their GoFundMe page and donate, and/or attend one of their local or statewide performances. Toms River Regional Schools is proud to have students driving an important discussion in such a creative way, and we wish them luck in meeting their goal!